Bucharest is a heady mix of the old and new. The fall of communism marked a resurgence for this Romanian city, which is now a popular destination. From museums to palaces, Bucharest has it all. Bucharest’s most popular attraction is the Parliamentary Palace, which required five years of unceasing work by 700 architects and 20,000 labourers to complete. The architecture is stunning, and so is the hand crafted artwork that is on display in every nook and cranny. The guided tours conduct visitors through grand reception halls and ballrooms. Carpets are hand woven, draperies are fashioned from silk and priceless marble walls make this a particularly sumptuous destination. 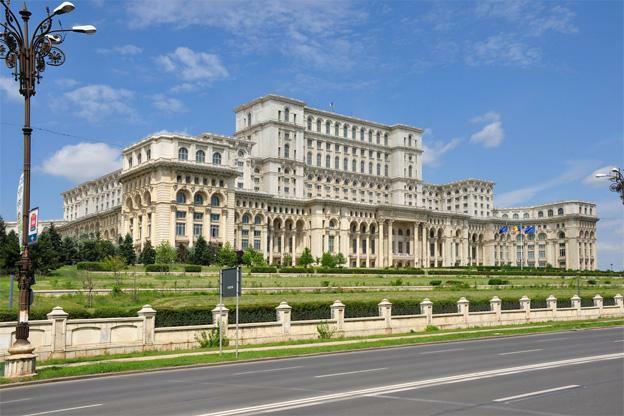 The Palace also bears testimony to the egomania of its patron, Romanian dictator Ceausescu. As tour guides note, the leader required a particular staircase to be replaced on numerous occasions because the treads were not comfortable for his small feet. For providing a glimpse of the communist regime and a look at beautiful architectural excess, the Parliamentary Palace is a sure bet. Many visitors also pay a visit to a hidden-away monastery and church called Biserica Stavropoleos. The chapel is dedicated to archangels Gabriel and Michael, and is managed by five nuns who conduct tours while also administering the extensive library. The intricate wood carvings in the chapel are a cause for wonder, as are the acoustics. Mass is held every day and is a transcendent experience for all who attend. 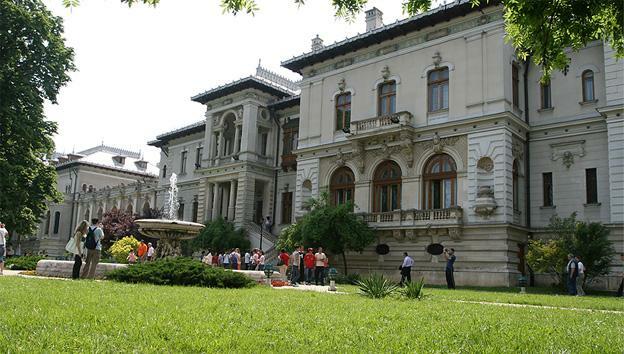 Controceni Museum, located in the official home of the president, is another historical and cultural highlight on a Bucharest trip. The structure was built late in the 19th century and served as a home for many of the country’s leaders. A tour of the building must be arranged in advance, but it is well worth the effort. Many of the private rooms used by former leaders are on display, and they provide a fascinating glimpse into the royal lifestyle. In addition to the restored rooms, visitors are also treated to displays of textiles, ceramics, paintings and sculptures in a collection that has been amassed over the course of centuries. Art lovers will be unable to pass up spending a few hours at the National Museum of Art. The Gallery of Romanian Medieval Art is particularly fascinating with its carved icons and religious images. Lovers of contemporary art are drawn to the Gallery of Romanian Modern Art with its impressive collection of Brancusi sculptures and paintings by Impressionist Luchian. The Gallery of European Art rounds out the offerings here, with a particularly interesting collection of lithographs among other objects. Just across the way from the National Museum of Art is one of Bucharest’s architectural triumphs. It is the Romanian Athenaeum. This beautiful structure in down town Bucharest houses an astonishingly lovely auditorium. The auditorium’s fresco, which tells the story of Romania from its earliest days to King Ferdinand’s reign, is particularly enthralling. It’s possible to catch a glimpse of the auditorium during the day for a small fee, but it’s best to visit here in the evening when live music is being played. The acoustics and the surroundings combine to create an unmatched experience. Many of the attractions in Bucharest are centered around learning how the leaders and royalty lived, but one destination lets visitors sample what life is like for the other part of the populace. At the National Village Museum, patrons explore an open air village that is styled to exemplify how the peasants lived and worked in the Romanian countryside. No fewer than 85 structures are available for rambling guests to review, and the buildings are divided by region. Most of Romania’s countryside, and their respective architectural styles, is represented on this single spot. It’s a refreshing and enlightening point of view. Bucharest is quickly growing into a modern city, but its citizens still value the city’s long and storied history. Visiting monuments and landmarks that display how Romanians, both high and low, have lived throughout the centuries highlights a rich cultural heritage that is still celebrated today. Megan the author of the “Best things to do in Bucharest” is an asset tracking expert for Camcode, helping users world wide!